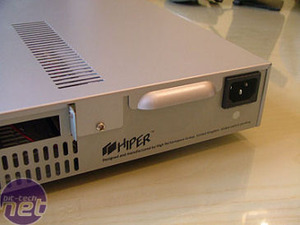 Hiper have been making a name for themselves recently, with their new power supplies going up against established names in the industry. We previewed their Type-R modular recently, but today we have another exclusive for you here on bit-tech. 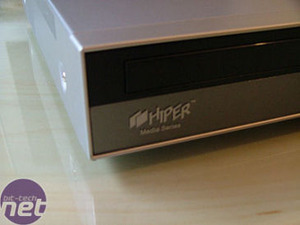 Hiper are now starting to put their expertise into designing cases, and this is the first one they have finished working on - a slimline home theatre PC case based on the mATX form factor. The case is primarily silver, with a black fascia. The bottom strip - which is grey / translucent on this model - comes in multiple colours. 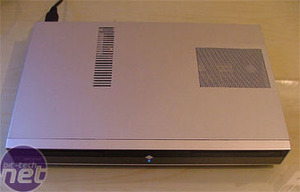 The top has ventilation for the PSU and for CPU cooling. The front left has subtle logo detailing, whilst the centre has a power button. 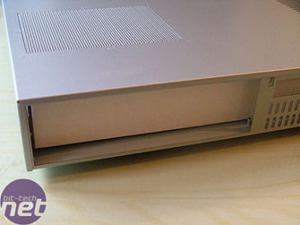 The design is a little unusual for a PC case, and is certainly more in keeping with the home entertainment equipment it apes. 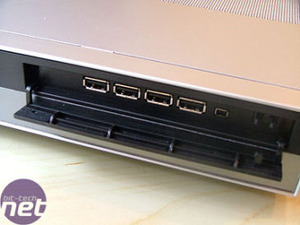 There are front mounted ports behind a pop-down flap - four USB and a firewire. It would be good to see audio here too, for easy headphone connection. 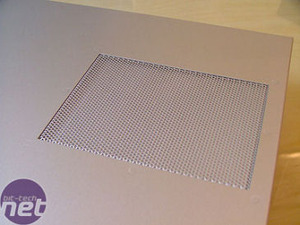 The top right has a mesh design for ventilation. 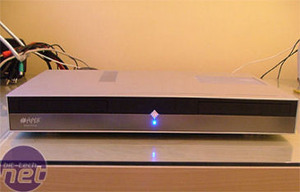 You will need a low-profile cooler, however to fit the thin design. 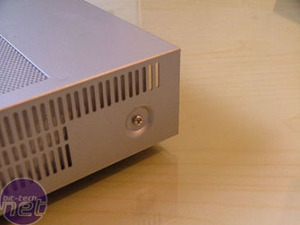 Round the back, the chassis sports the usual cut outs for the motherboard ports, whilst inside it'll support both Micro-ATX and Mini-ITX system boards. 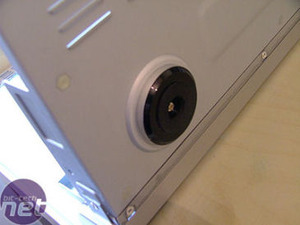 The back right has a handle to help with removal of the one-piece casing. 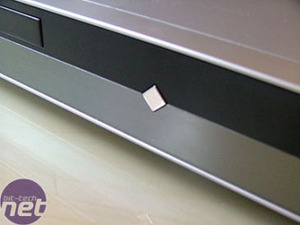 The sides of the system also have good ventilation - you will need it if you intend to run high power components in such a slim chassis. In keeping with 'proper' home cinema equipment, it has decent feet to stand on.